Hey everyone!!! 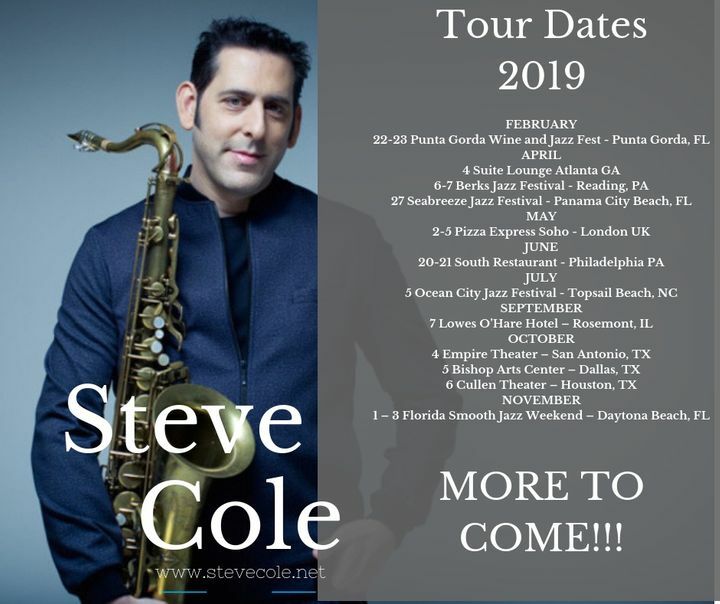 Super excited about the new album in 2019, and lot'sof new tour dates. Hope to see you all soon!!! Sax Pack was great. Each member played some of their individual hits along with Sax Pack favorites. Wish Steve could have played some of his old stuff but their set time was limited. Looking forward to seeing him again. He is an incredible entertainer and sax player. He commands the stage and audience. Cant wait to see him again.